Hurry Hurry Hurry, step right up and witness the incomparable healing powers of this elixir! Why, it cured me of my gout and set my mother on the road to healthfulness. Two sips in the morning and you too will have a bright shine to your eyes and a bloom on your cheeks! 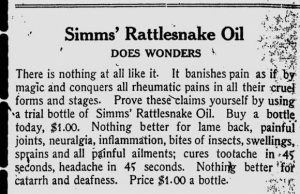 Snake Oil: A substance with no real medicinal value sold as a remedy for all diseases. Quackery: Dishonest practices and claims to have special knowledge in some field, typically medicine. 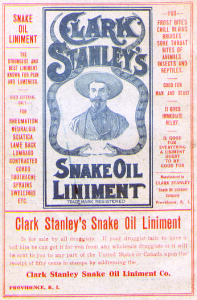 A footnote to Clark Stanley;s Snake oil Liniment. 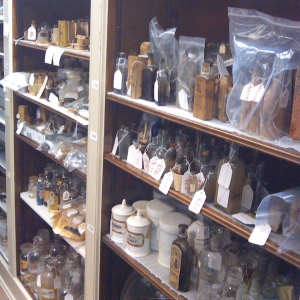 A shipment was seized by the US gov in 1917 and tested. It contained mineral oil, red pepper (which heats the skin) traces of turpentine or camphor and 1% of fatty oil but probably from cattle, not snakes. 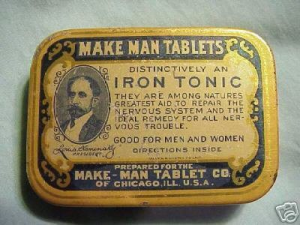 He was fined $20 ($429 in today’s dollars) for mis-branding his product by falsely and fraudulently representing it as a remedy for all pain. and his administration to pass two important pieces of legislation: The Meat Inspection Act and the Pure Food and Drug Act of 1906. The Act would later evolve into the modern day Food and Drug Administration in 1930, but at the time it only applied to food and drugs moving in interstate commerce. the “Progressive Era”—that saw a push towards more protections for consumers against unfair business practices. 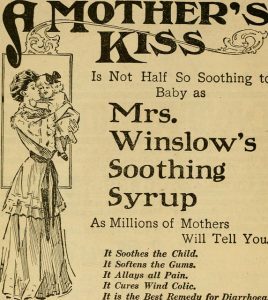 The appropriation of scientific teminology to tout snake oil. Misrepresented research from real scientists. 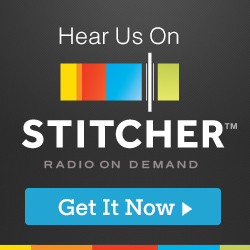 A website slathered in testimonials. It was claimed to alter the body’s energy, relieving pain, and the maker cited a study showing that wearers had less pain. Busted. In August, a division of the Better Business Bureau recommended that Speak’s maker, NourishLife, stop certain ad claims. The action came at the urging of Truth in Advertising, a consumer-watchdog group. NourishLife has removed some claims and testimonials from its website. The maker claimed these apps treated acne with colored lights from smart phones or other mobile devices.